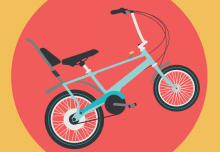 You may see your bike primarily as a way of getting around quickly and cheaply, but the added bonus is that your rides are great for keeping you fit and healthy, too. Your commuting miles probably add up to a fair amount over the course of a week, but sometimes over winter it can be hard to get those normal miles in when rain is lashing down and the wind is howling. 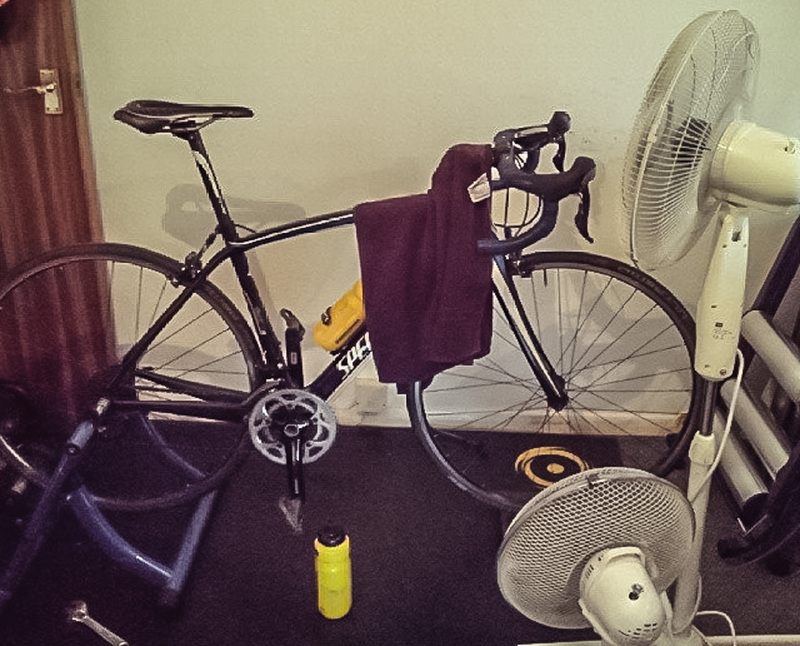 One way to keep your training up is to take it indoors, and invest in a turbo trainer. Even if you are continuing to stick it out through the wind and rain, turbo training could be a great way of supercharging the miles you already do. If you’d like to get a little fitter and perhaps are considering entering a summer cycling event, then a few indoor sessions will certainly help boost your leg power. 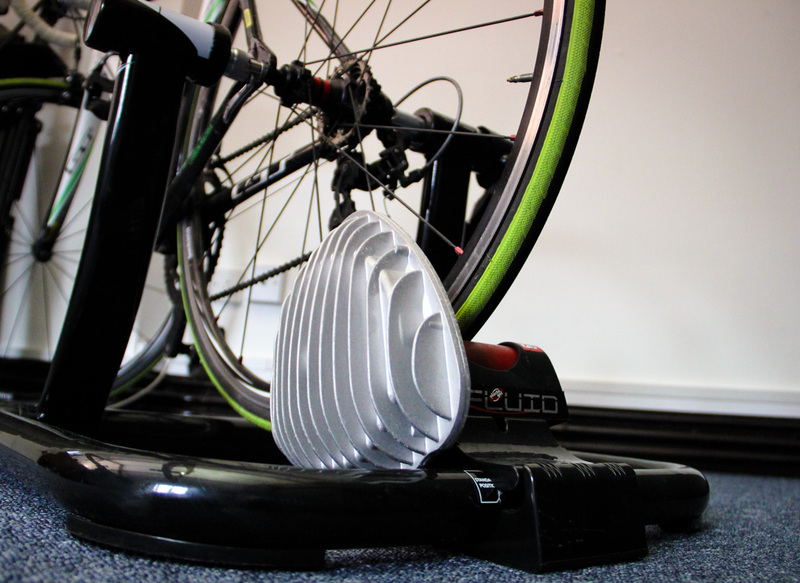 Turbo trainers attach to your bike and allow you to pedal indoors. Entry level models cost around £100, and they usually fold away so that they can be stored comfortably in your home. You won’t get climbs on your ride (unless you click the gears up to create resistance), but you also won’t get downhills or any moments of freewheeling. For that reason, most people consider a one hour turbo session similar to a 90 minute ride, so don’t force yourself to stay pedalling indoors as long as you would outside. Unlike a ride outdoors, where you might simply plan to ride a set route, you won’t have the distractions of lovely views, or traffic dodging. Therefore, it’s best to plan what you are going to do in terms of minutes. A great session if you’re just getting started is to try a 10minute warm up, follow this with 10 x 1minute efforts, where you pedal much faster or use a higher gear, with 1minute easy pedalling in between. If you follow this with a 10minute cool down, that’s a 40 minute workout. If you’d like more examples of session plans, skip to the end of this article for some more ideas. 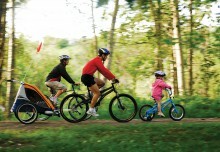 When you ride outside, the air around you circulates and keeps you cool. 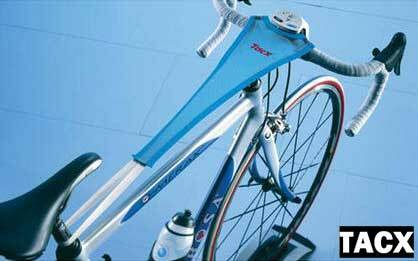 On a turbo trainer, that won’t be happening. Even if you and your turbo are set up outdoors, you won’t be moving, so the same applies. Some people just except this, and get hot and sweaty. However, if you buy yourself a simple fan (spend about £20 in Argos), you’ll save yourself the displeasure, and probably enjoy the session much more. For the reasons above, it’s also important that you have lots of water – make sure you have a big drink at the ready, ideally with some electrolytes to replace salts lost through sweat. You can expect to sweat a bit during your sessions, so if you want to protect your headset, cover it with a towl, or a specially created Sweat ‘Sweat Catcher’. Constant spinning over the resistance unit can also wear down normal tyres, so it’s worth considering investing in a turbo tyre. This is a common recommendation, but it isn’t a necessity at all, and it can be a hassle unless you have a spare old wheel. 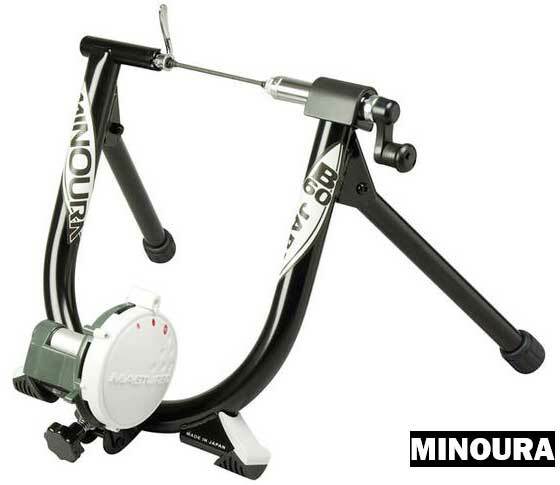 Finally, the turbo trainer will lift the back of your bike off the ground – so you’ll need something to raise the front up so you’re not permenantly pointing towards the floor. Yoy can get a raiser block for this, or you could always dig out the Yellow Pages. Some people like to turbo train to music, others like to watch films, and companies such as “The Sufferfest” even make films specifically designed for turbo sessions. Sufferfest videos lay out the training for you to follow, but they are aimed at people training to race, so handle with caution. Personally, I’m a big fan of sticking on some music, but do make sure you pick something upbeat that will keep your energies high. It’s not uncommon for people to host communal turbo training sessions. If you have a group of friends all interested in getting some indoor miles under their belt, and can find a large enough space for a session together, this can be a great way of boredom busting. If we’ve managed to convince you, here are a couple of example sessions. This means “speed play” in Swedish. This one is simple. Start with a 10 minute warm up, then pop on a CD. For each song, pick a common word – and every time you hear the word, sprint for 10-30 seconds. This is a great option for getting used to the turbo. Keep it up for 20-30minuntes, before cooling down with a 10 minute easy pedal. This one is easy to explain, and hard work to do: Warm up for 10 minutes, then do 10x1minute hard, followed by 1minute easy, before cooling down. 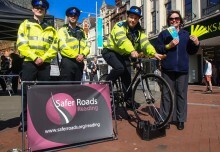 The hard efforts can be high gear, or fast pedalling – or both. If 10 is too many, start with 5 and try to add an extra interval each week. You can also do the above using the same pattern, but using a higher gear instead of fast cadence, this will help you to strengthen your legs, and will definitely do you good next time you reach a hill when riding outdoors.